Adjacent nonischemic myocardium is exposed to an acute pressure load during AMI that resulted, experimentally, in diminished levels of high energy substrate and accelerated ventricular failure . Augmenting glucose oxidation maintained ventricular function in the above murine model of acute pressure during AMI overload. Thus, acutely loaded nonischemic myocardium may benefit markedly from increased glucose uptake and oxidation in the setting of GIK. Experimental data also support a direct cardioprotective effect of insulin [35-36]. Experimental GIK infusion was equally effective in reducing infarct size when given throughout the entire ischemia/reperfusion cycle or only during reperfusion . Subsequently, insulin attenuated myo-cardial apoptosis that was associated with reperfusion . Additionally, some of the benefit that was seen in recent trials of insulin therapy in AMI in diabetic subjects may have been due to the withdrawal of sulfonylurea therapy. Although controversial, sulfonylureas block ATP-sensitive potassium channels and may impair ischemic preconditioning and coronary vasodilation and increase mortality in AMI [39-40]. Analogous to the setting of AMI, hyperglyce-mia in critically-ill subjects is associated with increased complications . Aggressive insulin therapy and control of hyperglycemia also improves outcomes in critically-ill patients in whom withdrawal of sulfonylureas was not a significant factor . Continuous infusion of intravenous insulin to maintain a blood glucose level that was at or less than 110 mg/dL reduced death, septicemia, and renal failure in a predominantly non-diabetic Belgian population of surgical patients who were mechanically-ventilated and critically ill. Aggressive glucose control also reduced complications in diabetic patients who were undergoing cardiac bypass surgery [43-44] and reduced target vessel revascularization in diabetics who were undergoing percutaneous revascularization . Glycemic control also is associated with a decreased risk for congestive heart failure in DM . In support of the "glucometabolic" hypothesis, recent clinical studies demonstrated anti-ischemic effects with newer metabolic agents that improve myocardial energy substrate use . The use of partial fatty acid oxidation inhibitors is the alternative strategy of promoting glucose oxidation that seems to be the most promising in clinical studies. The 3-ketoacyl-coenzyme thiolase inhibitors, trimetazidine and ranolazine, reduced myocardial ischemia in animal and clinical models [48-49]. These compounds work by switching myocardial metabolism from FFAs to glucose oxidation and diminish the decrease of intracellu-lar ATP that occurs during periods of ischemia. In contrast to the role of insulin therapy, the role of oral hypoglycemic agents in AMI has not been well-studied. Thiazolidinediones significantly reduced infarct size and contractile dysfunction and were beneficial in preventing left ventricular remodeling in experimental models of ischemia/ reperfusion [50-52]. Clinical studies in acute ischemia in humans are lacking, however. Chronically, thiazolidenediones improve insulin resistance and have a host of nonhypoglycemic effects that result in improved endothelial and fibrinolyt-ic function and diminished levels of proinflamma-tory cytokines, high sensitivity-C reactive protein and soluble CD-40 [53-55]. Thiazolidinediones also have direct effects on vascular smooth muscle, may have potent antirestenotic effects [56-57], and were associated with regression of atherosclerosis . Metformin therapy also is associated with a host of salutary effects on CV risk factors [59-60] and may reduce CV events in obese patients who have type 2 DM . The second Bypass Angioplasty Revascularization Investigation will attempt to answer the question whether treatment of DM with insulin-sensitizing agents is preferred over treatment with insulin-providing agents in diabetics who have vascular disease. Finally, it is important to re-emphasize that, compared with a general population, therapy with primary angioplasty, thrombolysis, b-blockers, aspirin, ACE inhibitors, glycoprotein Ilb/IIIa inhibitors, and statins are at least as effective in patients who have DM. 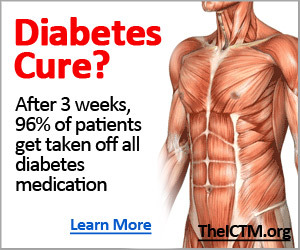 Despite this, there is significant underuse of these proven therapies in diabetic patients . Sympathetic blockade inhibits lipolysis and the generation of circulating FFA, which compromises glycolysis in ischemic and nonischemic myocardium. 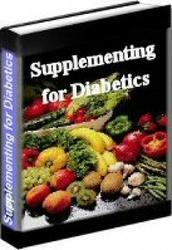 Therefore, it is not surprising that b-blockers are particularly beneficial in diabetic patients. Recently, more complete sympathetic blockage with carvedilol was superior to b-blocker therapy with metoprolol in reducing mortality in patients who had congestive heart failure . Unlike other commercially-available b-blockers, carvedilol therapy improved insulin resistance and may be more effective in reversing left ventricular remodeling by improving myocar-dial energetics. Although DM is associated with an increase in adverse events in the setting of either percutaneous or surgical revascularization , it is clear that diabetics will require coronary intervention; the optimal strategy awaits the results of future studies.